On Friday December 18th 2015 the New South Wales State Government released a statement, information and maps for proposed Council Amalgamations. As published in recent Issues, the second preference for Pittwater submitted, to create a Greater Pittwater that will embrace culturally and environmentally similar parts of the current Warringah, has been placed forward. This option was identified as a way to retain the intrinsic values of residents in these aligned and places while being flexible towards future contingencies for our area. The suburbs to be merged with those already known as 'Pittwater' would include Narrabeen, Collaroy, Collaroy Plateau, Wheeler Heights, Cromer, Oxford Falls, Duffy’s Forest, Terry Hills, Belrose, Davidson, French’s Forest, Forestville and Killarney Heights. At this stage, it is expected that all amalgamation proposals will be formalised for community consultation from the week commencing 4th of January 2016. On Friday Pittwater Council's General Manager, Mark Ferguson, outlined the Process for creating new Councils. It is expected that new Council’s will commence operation after this process. The New South Wales Government has suggested it is likely that local government elections may be delayed until March 2017. Details have been provided about the proposed local government reform and merger impact analysis in a document available here (PDF – 5.79MB): Local Government Reform Merger - impacts and analysis. NSW Government. December 2015. 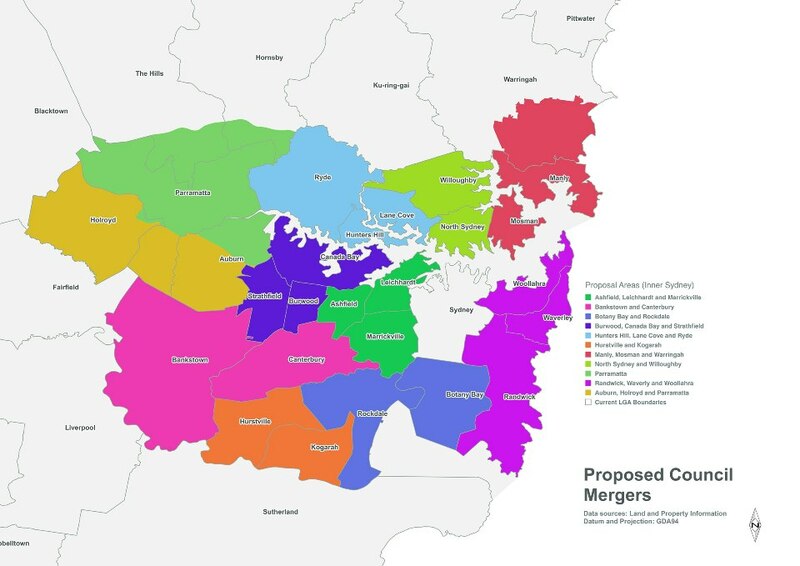 Below is the Map published for proposed merger for our area - 'Outer Sydney' and all Media Releases received or pertaining to the Councils within the SHOROC partnership this week. Improved infrastructure and services and stabilised rates will make ratepayers the big winners under a proposal for 35 new councils in NSW, unveiled by NSW Premier Mike Baird and Minister for Local Government Paul Toole today. Mr Baird and Mr Toole said the community would have the opportunity to have a say on the NSW Government’s vision for local government in NSW. “The community expects a stronger local government system that can deliver the infrastructure and services they deserve, while keeping rates stable,” Mr Baird said. In Greater Sydney, the NSW Government is proposing 15 new, stronger councils to help the city grow, which would bring the total number of metropolitan councils down from 43 to 25. No Sydney council is forecast to be larger than Blacktown, or have fewer than 150,000 ratepayers. “Importantly, fewer councils will mean a big reduction in red tape for the NSW community and the businesses that work with councils,” Mr Baird said. Independent analysis by KPMG of the NSW Government’s proposed mergers shows significant financial benefits for NSW of up to $2 billion that can be invested in new infrastructure, improved services or keeping rates stable. “Through the Stronger Communities Fund, every new council that is established will be provided with up to $15 million to invest in community infrastructure,” Mr Baird said. New councils will decide how to spend their Stronger Communities Fund allocation, which could include projects such as pool refurbishments, new sporting facilities, street beautification projects, car park expansions and library upgrades. Mr Toole said under the proposal there will be no change to merged council’s existing rate paths for four years. “This package provides ratepayers with certainty,” Mr Toole said. “There is no ‘one-size-fits-all’ approach, and we have recognised that each community area in NSW is unique,” said Mr Toole. The NSW Government is using the existing process set out in the Local Government Act to consider council mergers. “Our process will provide an objective assessment of the merger benefits and impacts, and give the community a chance to have a say before a final decision is made,” Mr Toole said. Mr Toole commended councils for their leadership in submitting merger preferences to Government and for recognising the significant benefits mergers will bring to their communities. A factsheet is also available to download. Earlier today the NSW Government announced its proposal to merge Pittwater and the suburbs of North Warringah to form a new council. Pittwater Mayor Jacqueline Townsend said Pittwater Council is pleased that local MPs listened to the community on the importance of retaining local identity and local representation, and it welcomes the Government’s support of its merger preference. "Although the community wants to stand alone and retain independence in the first instance, a two council model would be a great outcome for the community,” Cr Townsend said. “With standing alone now off the table, two councils would maintain local democracy and local character and identity, issues that are at the heart of our community,” she said. The NSW Government has recognised that two more equally balanced and specialised councils will deliver more effective catchment management and economic development for the region, a structure that would provide for a strong sustainable new council. “We are also pleased that the State Government has reconsidered the issue of population size and recognises that a population size of approximately 150,000 has the strategic capacity to deliver high quality services whilst remaining connected to our communities. “The two equally balanced councils would lead to even better services, more infrastructure and downward pressure on rates. The government’s proposed relocation of Pittwater’s boundary includes Terrey Hills, Narrabeen, Collaroy, Collaroy Plateau, Cromer, Wheeler Heights, Oxford Falls, Frenchs Forest, Duffys Forrest, Belrose, Davidson, Forestville and Killarney Heights. The government is proposing the new council receive $10 million to cover the costs of merging as well as an additional $10 million from the Stronger Communities Fund for community infrastructure projects, across the new local government area. 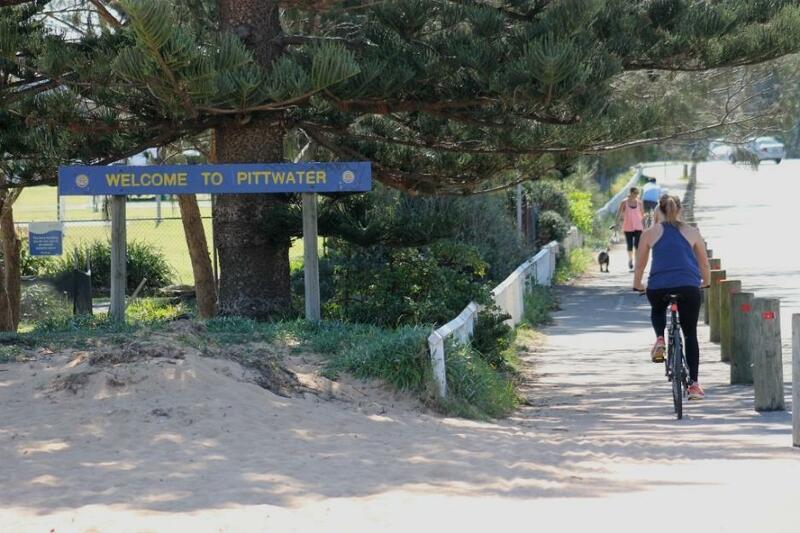 “For the time being it’s ‘business as usual’ for Pittwater, although we will be focused on connecting with our community and getting their input as well as working with our neighbours and the State Government during the next steps of the reform process,” she added. For reform updates, please visit our website, subscribe to our e-newsletter aboutPittwater and follow us on Twitter and Facebook. The announcement by the State Government today that the Municipality of Pittwater would be extended to take in a large area of the present Warringah Council totally ignores the wishes of the people of Pittwater. Pittwater Forever Chairman Tony Tenney said that in an unnecessary and undemocratic manner the Government had totally disregarded the results of a Pittwater Council survey indicating 89% of residents wanted their council to continue on its present boundaries. “This decision is a particularly heavy blow to the Pittwater community which had gained its independence by secession only 23 years ago,” Tenney said. Pittwater Forever is an umbrella organisation representing 19 community associations in Pittwater. Mr Tenney said that Pittwater Forever would closely monitor and engage in the transition processes the government put in place next year, especially those relating to local representation, council independence, planning and development controls and financial fitness. Pittwater Forever is a federation of 18 of the major Resident Associations within the Pittwater area. We assist in representing their interests responding to the NSW Government’s reform proposals for Local Government “Fit for the Future”. Pittwater Forever is independent and has no political allegiance or bias. Mayor of Warringah, Michael Regan, says the NSW Government needs to explain its decision to dismantle the award-winning Council and divide its area between Pittwater to the north and Manly and Mosman, to the south. The Independent Mayor said; ‘The NSW Government must explain to the 155,000 people of Warringah why they’re going to be worse off thanks to local government reform. ‘Not one panel or committee asked for Warringah Council to be broken up – but the NSW Government has still decided to divide our community. ‘The Government has ignored its own experts, its own Independent Local Government Review Panel, IPART and its own criteria for scale and capacity in this decision. ‘Dividing Warringah to make two Councils, smaller than Warringah’s current size, is three times as expensive as amalgamating all of us. Why not just create one Council of 288,000 people or leave us alone? ‘Warringah Council is the largest provider of services on the northern beaches, including; children’s services, libraries, waste collection, sportsfields and lifeguards. This decision puts those services in disarray. ‘It also breaks up the largest, most efficient and financially sustainable Council on the Northern Beaches for no logical reason. The Government said this process would deliver lower rates, increased services and more infrastructure…. I look forward to them explaining this one. This morning (18 Dec) I attended a webcast to hear the State Government’s response to IPART’s report and Council’s submissions on proposed amalgamations. Manly is included in a number of proposed council mergers which could potentially result in the total number of Sydney metropolitan Councils being reduced from 43 to 25, each with approximately 150,000 in population. It is expected that all amalgamation proposals will be formalised for community consultation from the week commencing 4 January 2016. Any merger proposed by the State Government will be submitted to the NSW Boundaries Commission and the Minister for Local Government and will include public hearings. The process is likely to take some months, with the next local government elections expected to be delayed six months until March 2017. Otherwise, all Council services will continue to operate as usual. The State Government has announced a proposal to merge Mosman with Manly and part of Warringah local government areas. 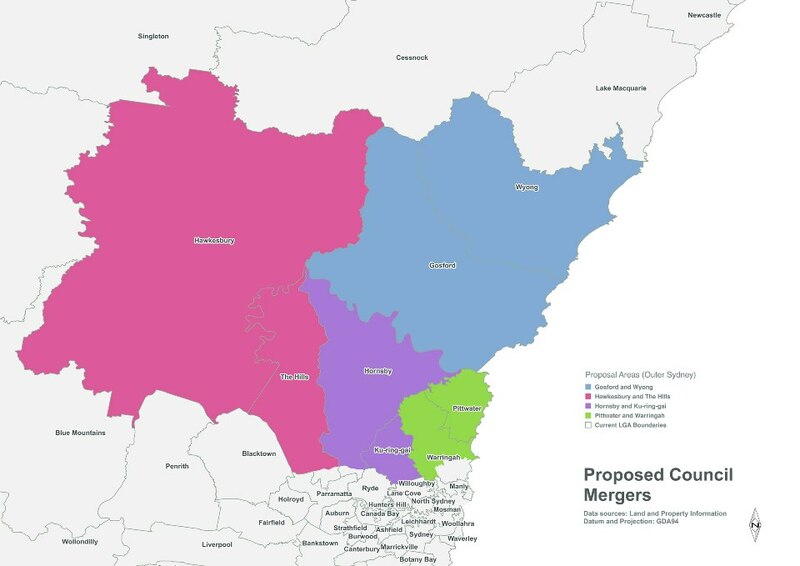 It is one of a number of proposed mergers which could potentially result in the total number of councils in NSW being reduced from 152 to 112 and the number of Sydney metro Councils being reduced from 43 to 25. Mosman Mayor Peter Abelson has called for full and genuine community consultation on the proposed merger and said the move to councils with a minimum of 150,000 residents would be a big shift for smaller communities such as Mosman. It is expected that all merger proposals will be formalised for consultation from the week commencing 4 January 2016 with public hearings held prior to reports being submitted to the NSW Boundaries Commission and the Minister for Local Government. An Extraordinary Council Meeting has been called on Tuesday 22 December 2015 to consider Mosman Council’s response to matters relating to the NSW Government’s most recent announcement regarding Fit for the Future. The Extraordinary Meeting will commence at 7pm in the Council Chambers and members of the public are welcome. The Agenda for the meeting may be viewed on Council’s website from close of business Monday 21 December 2015 and at the Library or Civic Centre from Tuesday 22 December 2015. It's been one of the worst-kept secrets in NSW history, but today's announcement on forced council amalgamations has set a number of communities on the warpath with the Baird Government. Premier Mike Baird and Local Government Minister Paul Toole today released maps proposing a reduction of NSW councils from 152 to 112. Regional councils would decrease from 109 to 87, while metropolitan councils would decrease from 43 to 25. However, some councils found "fit" to stand alone under the Government's own criteria are slated for forced amalgamation, while a voluntary merger proposal by Cootamundra and Harden councils has been overruled in favour of a different approach. "It's also a win that the Government has agreed to follow the review process set down in the Local Government Act, instead of the wholesale sackings they floated earlier this year," Local Government NSW President Keith Rhoades said. "LGNSW will continue to hold the Government to account throughout this process, which must be followed to the letter if the Minister wishes to avoid legal challenges. "But it's important to note that even though the review process offers an opportunity for community input, the Minister is in no way bound by its findings or recommendations, or that of the Boundaries Commission. "As long as it has ticked all the procedural boxes as set out in the Act, the Government can essentially proceed to forced amalgamations at will." Clr Rhoades said the announcement had come as a shock to some councils who were confident they would not be forcibly merged - and to councils which had invested significant time and effort in developing and submitting a voluntary amalgamation proposal. And he said the Government's oft-repeated claims that the decision follows years and years of consultation was a misrepresentation at best. "This whole process has run off track since the initial coming together of the State and Local Government to nut out reform that would genuinely benefit the residents and ratepayers of NSW. "Back then, the Coalition Government committed itself in writing to no forced amalgamations, and worked collegiately with councils to come up with wide-ranging reforms which would resolve systemic funding problems such as cost-shifting and rate exemptions. "Now, it's clear for all to see this bully-boy farce is about removing genuine local representation, and completely ignoring the expressed wishes of local communities. "It's a cruel joke, and unfortunately the joke is on the people of NSW because they are the ones likely to lose any meaningful input on the issues that impact on their day-to-day lives." Cr Rhoades said today's announcement would have a real political price - both for the State Government, and for Federal MPs who will go to the polls in 2016. "Community anger over a potential forced amalgamation resulted in a 14% swing against the Liberal Party in the recent Federal by-election for the seat of North Sydney," he said. "There are currently a lot of Coalition electorates at both the State and Federal levels with margins far slimmer than that."